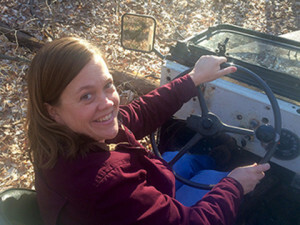 Recently, Jennifer Peine, navigator for Team JPFreek in the upcoming Rebelle Rally, sat down with a group of her friends to gather support for Team JPFreek and to tell them a little bit about what she’s going to be doing for the Team when she and Team JPFreek Driver, Julie Covert, compete this October. Why on Earth did you want to do this? What will be the hardest thing? Hands down, that will be waiting to talk to my husband and kids until the race is over. They’re my home, my soft place to fall. When I have a stressful day, they help me see that the sky really is blue…and when I have a great day, they know how to help me celebrate. I understand the rule, but it will be the hardest one to follow. Meeting all of the other incredible women who decided to do this “crazy thing” with me. 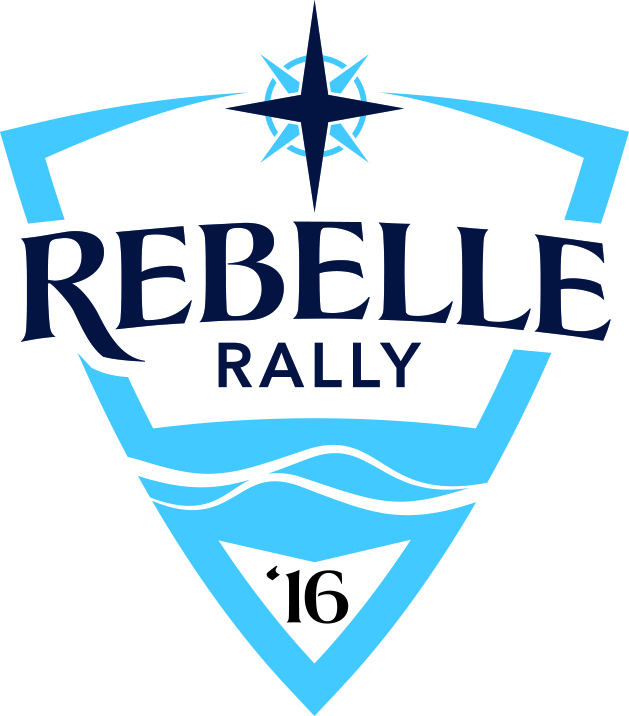 It’s the first all women’s rally race in the US—so that’s something special. I’m excited to meet everyone who signed on to this adventure. I’m also excited to put my skills to the test. Who taught you about this stuff? If you’re talking about navigation, my Grandfather did. He was a Geologist with the USGS. Throughout my childhood, he made a point of taking me into the woods, out on the water, and down into caves to show me as many of the natural spaces that he loved as he could. He taught me to read his compass and gave me headings so I could “lead” us out of the woods. He also taught me a lot about reading the land. Sadly, my grandfather developed Alzheimer’s disease later in life. He lost most of his ability to communicate (as he would have said, ‘he lost his words,’) but he never, ever lost his way. When I took him on walks in the woods, he could still read the land and know exactly where he was. Then who taught you about the other parts? As for the Jeeping and the camping, well, everything I’ve learned is thanks to my husband and his extended family (that includes our friends—who are the family we choose.) Steve spent his life wrenching and working on all kinds of metal things, from dune buggies to airplanes. His favorite projects have always been old Jeeps. If there is a key in the column and not on the dash, then it’s not old enough for him. Nearly all of our vacations have involved hauling our whole camp set up (fuel, water, food, tents, stove, etc.) in a military trailer pulled behind a well-built old Jeep. In fact, aside from visiting family, we have stayed exclusively in hotels on only two vacations in the last 20 years. I guess I don’t know any other way to vacation. I’m so glad you asked. Our entrance fee has been paid, so we’re fully funded on that front. 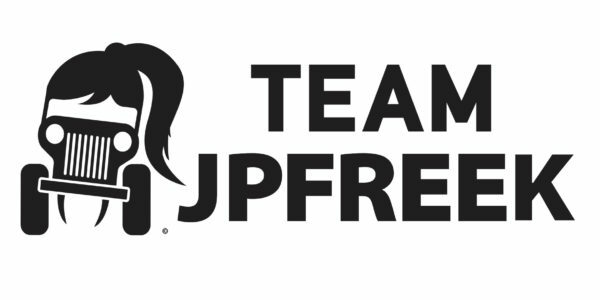 Thank you, thank you everyone who contributed to make that happen for Team JPFreek! That’s not the end of our Fundraising though. We still have more that we need. We have equipment costs (helmets, mandatory satellite device, etc.) and travel costs (fuel for the Jeep, cost of sending it out and back, cost of getting ourselves out to the race and back home.) You can contribute to our Team through our online Indiegogo campaign https://igg.me/at/TeamJPFreekPartB/x or by clicking here. 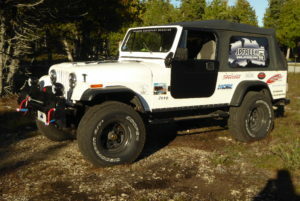 There are some really cool incentives—t-shirts, a trip to a relaxing weekend on Drummond Island, and putting your name on our Jeep!